"L'auberge du Vieux Mulhouse" offers the old Mulhouse, on the most beautiful place in the heart of the city, authentic regional specialties. 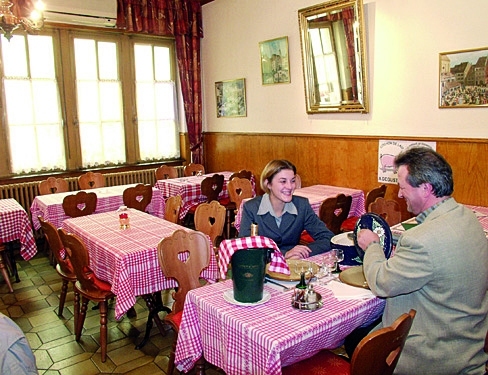 Sauerkraut of course, but also many other regional dishes washed down with racy white from Alsace or refreshing beer, will seduce you and sing the anthem a taste of Alsace known worldwide for its cuisine. On the terrace of the Inn, let your imagination wander on that which was written up and continues the history of the city.